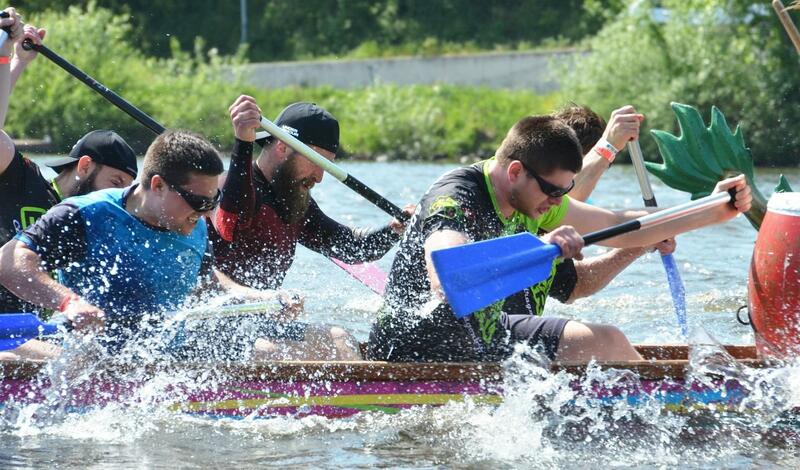 Dragon boats are ideal for team building on Prague’s beautiful Vltava river. 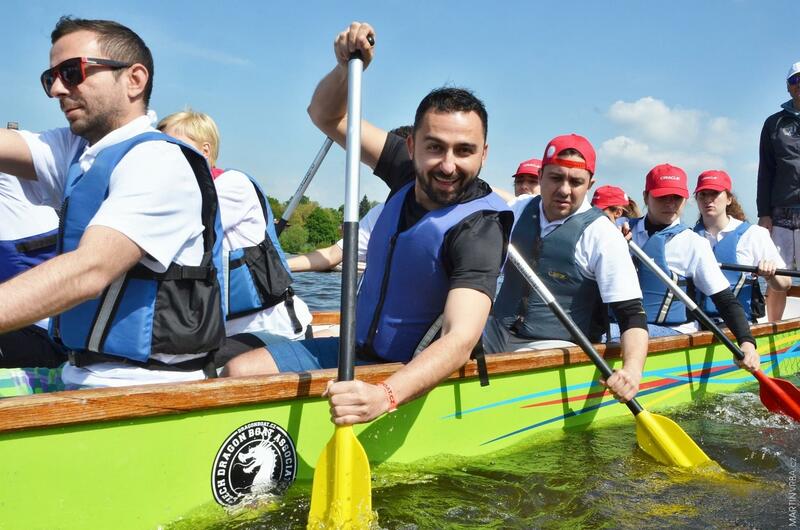 What better way to discover how your team works together than by synchronising your paddles? Even the strongest team can lose the race if they are not working together! All members are close to each other in the Dragon Boat, sharing the stresses and successes of the race. 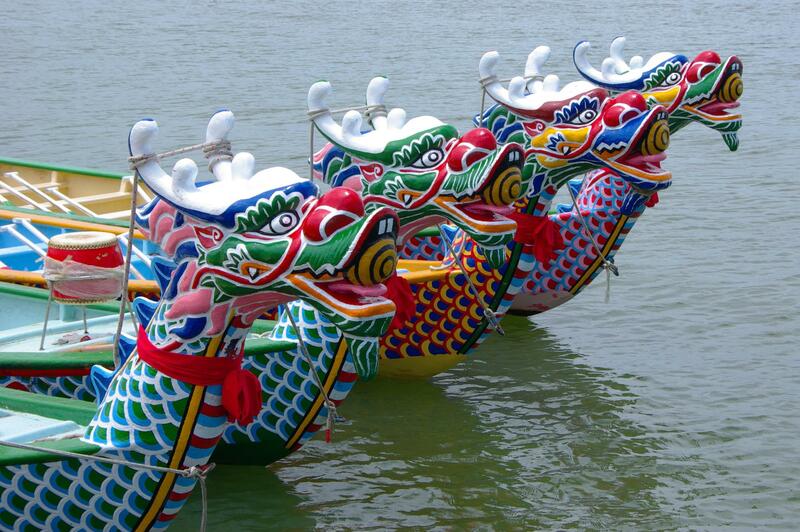 Dragon Boats have a lengthy history - first appearing more than 2000 years ago in China. The boat is 12.5 metres long, weighs 250 kg empty, and looks like an open canoe with a dragon’s head and tail at the front and the back respectively. The maximum amount of guests per boat is 20, and the minimum is 12. For smaller teams, we can provide mini Dragon Boats, which hold a maximum of 10 guests. The paddling rhythm is kept by the drummer at the front of the boat, and the steering is done by the helmsman at the back. The Dragon Boat races begin very close to Prague’s city centre. Each team is well introduced to the race rules, safety measures, and how to use their paddle and life vest, before they begin. The pace of the race can be adjusted to suit the physical abilities of the group. A standard race lasts a few minutes, and the aim is to be the fastest one! We can provide Dragon Boats for all teams to race at once, or teams can rotate on Dragon Boats. The course will take you past some of Prague’s most beautiful places during this amazing challenge - so try not to lose focus! This team building activity in Prague is recommended during the summer months (April to October). We will certainly accept requests for this team building activity in other months, but teams are encouraged to dress appropriately! We recommend adding a catering option to this activity, to reward your teams for a job well done! 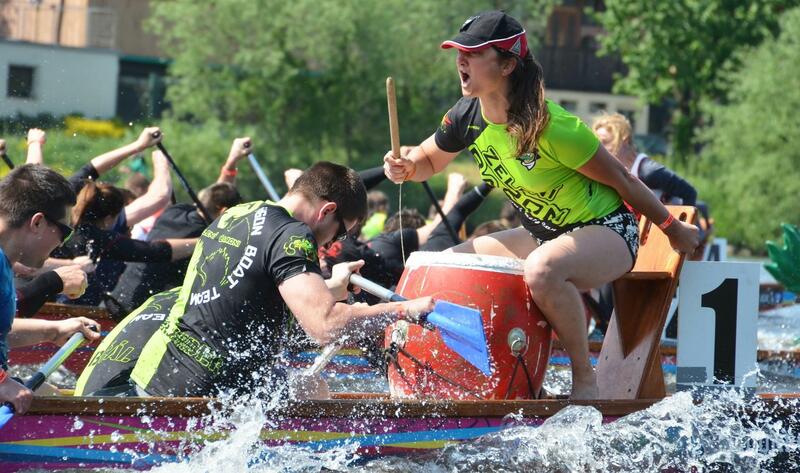 *We only work with experienced professionals for the Dragon Boats in Prague experience.